From boxwood to magnolia leaf garlands, Homewood Museum is decked out for the season! 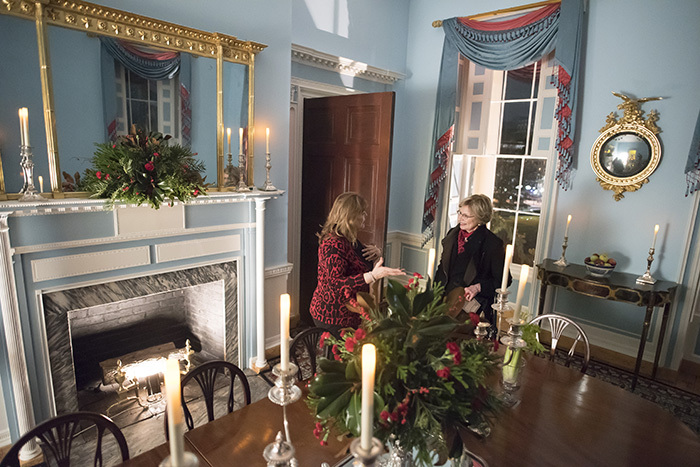 The house is fully decorated and open for everyone to enjoy this holiday season. 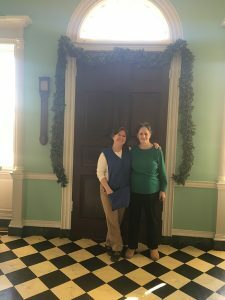 Volunteers and staff decorated the museum for the holidays with garlands, boxwood, and dried floral and feather arrangements. Homewood exudes a festive spirit that is best witnessed at the museum’s annual Homewood by Candlelight open house. 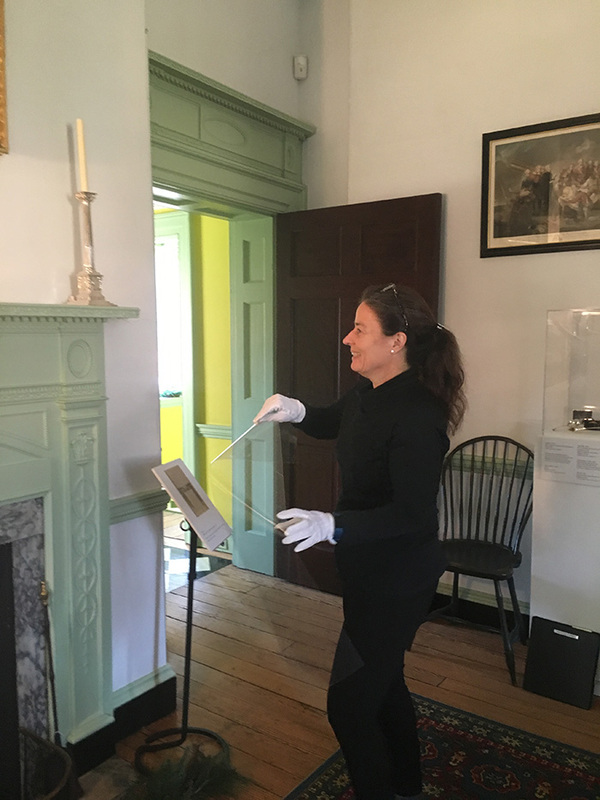 Glittering candlelight throughout the museum make Homewood appear as it might have in the early 19th century. The furnished period rooms will be filled with the sounds of live music, the museum shop will offer a wide variety of holiday gift-giving ideas for people of all ages, and seasonal refreshments will be served in the wine cellar. Visitors will be able to see the current exhibition As Precious as Gold: A History of Tea Caddies from the Bramble Collection. This year’s Candle Light Tours was hosted on December 4th. 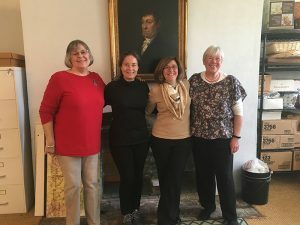 Volunteers included Edna Jones, Deb Fitzell, Libby Naylor, Alice Lange, and Deb Pulosluszny (not pictured) with Judith Proffitt, Barbara St. Ours (not pictured) and Julie Rose. The gift shop is loaded with holiday gift ideas, so stop through and pick up something for the season!